Spacious, fully furnished 2 bed flat located only moments from the city centre. Modern, fully fitted open plan kitchen includes modern appliances and adjoining living room is complete with 2 piece sofa, small dining area and large windows. 2 large double bedrooms have sufficient storage solutions and large windows. Modern bathroom features shower over bath. 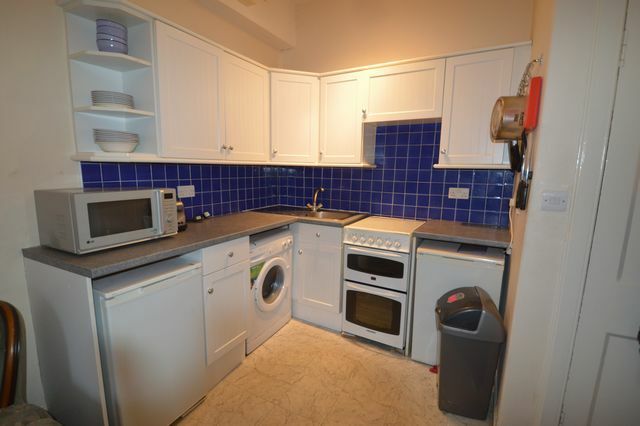 Further benefits include gas central heating; double glazing, on street parking and access to garden. Located in the popular area of Dalry, an abundance of local amenities can be found on nearby Dalry Road. Princes Street and the rest of the city centre is only a short walk away, however a host of bus services and Haymarket Train Station can be easily accessed for longer journeys. EPC RATING: D. Awaiting Landlord Regsitration number.